The Absolute Fencing & Decking company are based in Plymouth, Devon but we cover the Southwest UK. 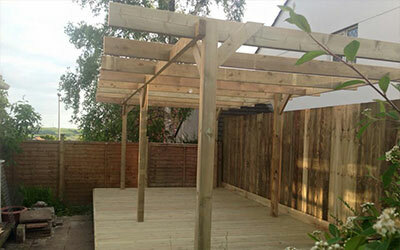 Our company was formed when we saw the need for quality and affordable garden fencing & decking solutions. Having seen and repaired so many poorly constructed garden fences and decks we formed a business to install them right the first time. 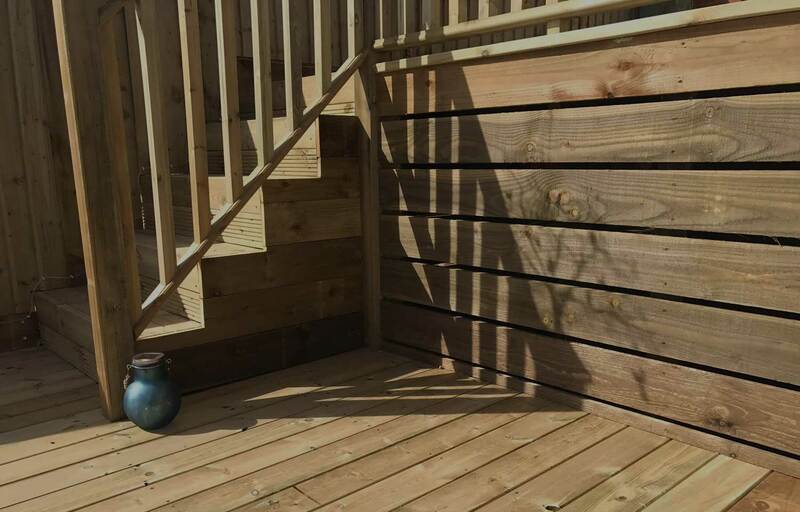 Often people don’t know what is or makes a good garden fence or decking but you can trust in us to provide you with a much better product than the competition at a very competitive price. We are proud to tell you that we are SMAS Accredited, members of the FSB and recently had the pleasure to work with the DIY SOS team on the Plymouth Big Build. Big thank you to John and the guys. Had a fence done yesterday. Great workmanship and all done the same day. No hassle, no mess just left to it and they cracked on. Thanks again guys. Excellent job. Friendly and very hard working. Would recommend this company to anyone. We had our back garden fence and front portico post replaced 3 weeks ago. Excellent, friendly and efficient service. Well done John and your lovely team. Very high standard of work at a very reasonable price. Absolutely brilliant job of replacing my fencing and gate. Nothing was too much trouble and very pleased with the result! Would highly recommend. Absolute Fencing have been today who were brillant, they put a new feather board fence up and put down a lovely decked area. Fantastic job, very professional, very polite, cleaned up after them selves and all done in a day. Thankyou guys we recommend you to one and all. What a very professional and proficient service with excellent results. Thank you your team have done a really good job. Had a large raised deck with fencing to the side and fencing underneath to make secure storage. The guys turned up as planned and the work was done within 2 1/2 days. Very impressed with the quality of work, time keeping and how tidy the are was left. Would highly recommend. An excellent job by this company. They gave us the cheapest quote, but didn't cut any corners with quality. The team worked so hard to finish our fencing and shed base, and I look forward to them coming back in the spring to do so decking for us. Professional, hard working, friendly and could not have been more accommodating. Thankyou - I would recommend you to anyone. FANTASTIC guys, stunning work, very hard working and professional. Would highly, highly recommend them. Can't praise these guys enough. They showed up at 7.30 am and worked through the rain. Cheerful, professional, helpful, nothing was too much trouble. And their workmanship is second to none. Fabulous new fence and side gate, thank you. Highly recommended. Excellent work, arrived on time, polite and cleaned their mess up. Will recommend them to family and friends. Can't wait for them to do my decking in April. Would 100% recommend these guys! They’ve just decked our garden making it much more useful and child friendly. They worked really hard, ensuring that customer satisfaction was the top priority. Thank you so much. We will see you again for phase two of our garden development! Thank you so much! An excellent job, very professional, friendly staff and I can't believe how quickly it was completed! I would highly recommend. Fantastic work completed with minimal disruption and to a high standard. Very pleased with both fencing and decking completed by these guys. A brilliant job done by John and his team. Quick, efficient and tidy. I would definitely recommend using Absolute fencing & decking and will be using them in the future. Had a storm-related fencing emergency. Absolute Fencing came round the same day as when we rang, talked through options with us and provided a quote there and then. We accepted and they were round within days with a knowledgeable, careful and safe team. Excellent workmanship, excellent finished product and a really lovely team of workers. No need to shop around when these guys are available - looking forward to using Absolute Fencing again. Amazing, friendly guys who came out on a bank holiday Monday in the worst rain to complete our job. Great work, We will definitely use these guys again and I'd recommend them to anyone. Absolute fencing and decking came in and transformed my garden. They worked so hard and I cannot fault their service. I am absolutely over the moon with my new decked area. Amazing team of guys who are really friendly. Will be using them again to complete the last part of my garden. Highly recommend them! Thanks again! Please Like and Share our page on Facebook and tell your family and friends about us. 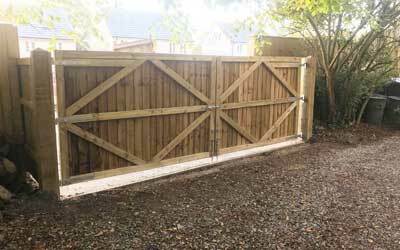 Covering all manner of fencing solutions from feather board fencing to picket fences we’ve got you covered. 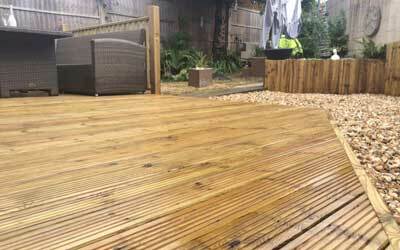 We are the No.1 installer of quality decking in Plymouth. Give us a call today and let your dream become reality. If your after a timber shed man cave for the garden or fancy a cute pagoda then we can help. 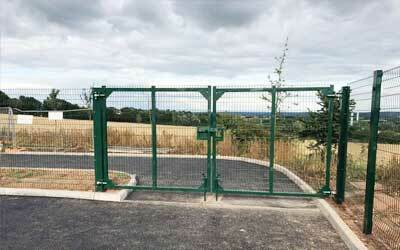 Each of our gates are custom made to specification ensuring that Absolute quality look every time. Quality installers of commercial fencing for when that extra security is required around your perimeter. 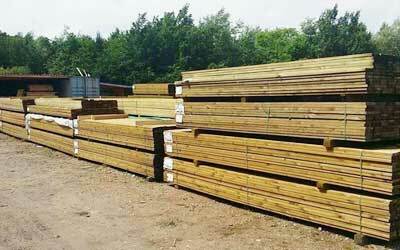 Not only do we build great fencing and decking we now also supply the same quality products that we use. Excellent work, arrived on time, polite and cleaned their mess up. Will recommend them to family and friends. Can’t wait for them to do my decking in April. These guys are brilliant so fast and efficient. We have had three houses done in our family this summer and all have been different. Well done to Absolute Fencing & Decking three fantastic jobs and three very happy customers. Exceptional service! Both very professional and skilled at their trade. Achieved all prep work, building and finishing in impressive time and with very good results! Would recommend to anyone who is seeking hardworking, professional tradesmen! Amazing, friendly guys who came out on a bank holiday Monday in the worst rain to complete our job. Great work, We will definitely use these guys again and I’d recommend them to anyone. A huge thank you to John and his team for our fencing and decking. They worked so hard in all weathers to get the job completed and we are so happy with the end result. Can’t recommend Absolute Fencing & Decking enough, if you want excellent quality and workmanship then give them a call . Called to organize it, quick simple and same price as the quote. All done in a day. No fuss, no hassle and a great job. Thank you so much! An excellent job, very professional, friendly staff and I can’t believe how quickly it was completed! I would highly recommend. Fantastic company! Very professional and efficient. Their work is outstanding and always completed to a very high standard! Can also work to a very tight schedule! Keep up the good work guys! Thanks guys!! Amazing team came and fitted decking and fire pit area in our garden last week. Quick tidy working and a great result. Great price too �. So pleased. Won’t hesitate to use them again. Our fence now looks absolutely amazing! Absolute fencing came round, priced up and installed in an amazing time frame! The fence was up quickly and now are garden looks good again! Thank you!! Can not recommend this company highly enough!! Great price , Great workmanship , professional through out ! Was a quick turn around and done in 2 and a half days ! Do not go anywhere else for your Garden Needs !!! Would 100% recommend, an amazing job has been done on our garden with a very quick turn around, excellent price and great end result! Can’t thank you enough for giving us a garden we can actually use! 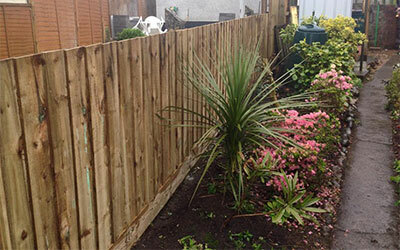 If you have a project in mind and would like Plymouth’s No.1 Fencing & Decking company to handle it please let us know. The Absolute Fencing & Decking company will beat any like for like written quote. It’s our price promise to you and we will stick by it! I consent to having Absolute Fencing & Decking LTD collect my details via this form.